Give your child their first Spider-Man flying adventure! Let your young superhero play out an awesome LEGO® Marvel Spider-Man experience chasing Doc Ock’s getaway speedboat with Spider-Man’s flyer in the 76134 Spider-Man: Doc Ock Diamond Heist. This LEGO 4+ creative building toy, which is specially designed to be fun and easy to build for preschoolers and youngsters, features a special Starter Brick base that lets even first-time builders experience the pride of constructing buildings, vehicles and more, all on their own. The included simple guide to build and play will also help your youngster understand the purpose of the building instructions and grow their imagination and confidence to try new things in a familiar LEGO Marvel world. 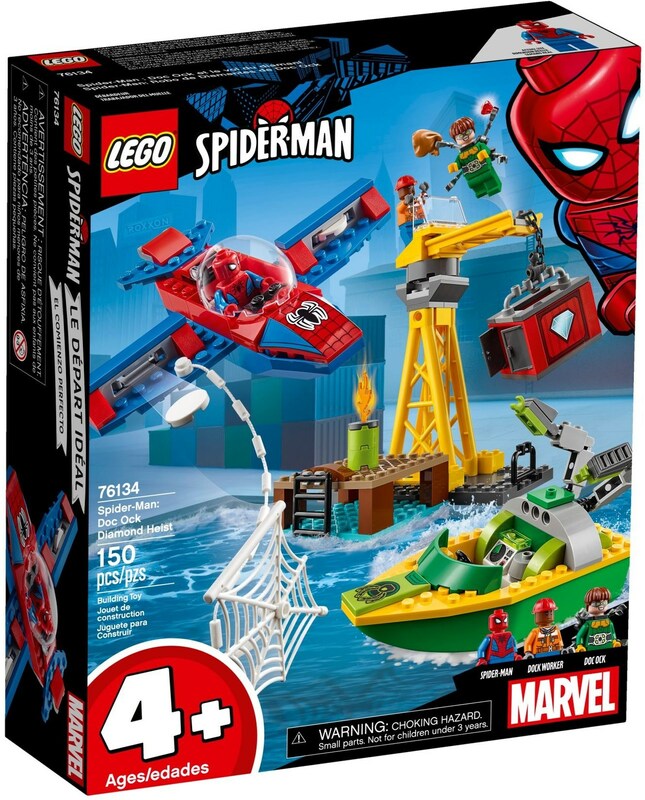 They’ll love building the dock with a functioning crane to lift a container, Doc Ock's speedboat with mechanical arms, and the Spider-Man flyer with a disc shooter and spider web that can attach to the speedboat or container. 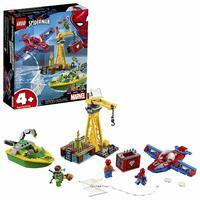 This simple LEGO Marvel buildable Spider-Man toy for kids also includes 3 minifigures for endless imaginative play. 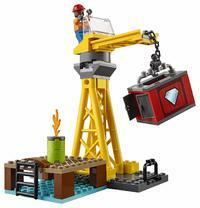 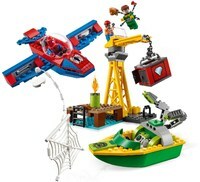 LEGO® 4+ sets are specially made to be fun and easy for youngsters. 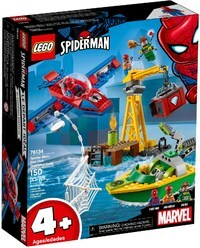 This set features an easy-to-build dock, Spider-Man flyer and Doc Ock speedboat. 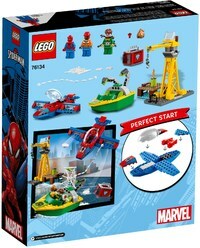 With a Starter Brick base to quickly get your child building and playing with superheroes. 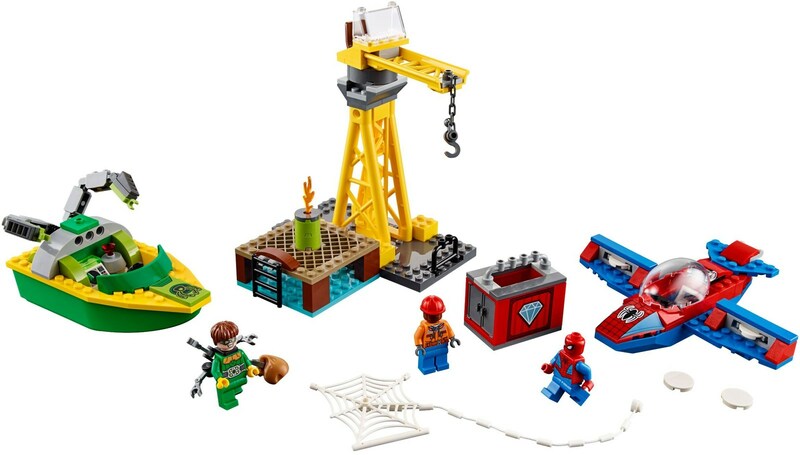 Dock includes a crane featuring a minifigure cockpit with a windshield & adjustable crane. 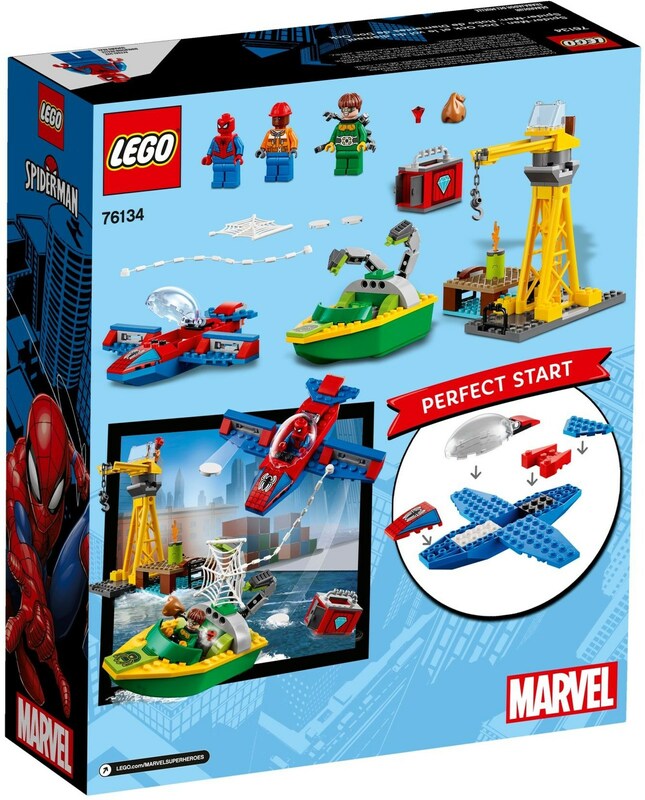 Spider-Man flyer features an opening minifigure cockpit, 2 disc shooters and a spider web. 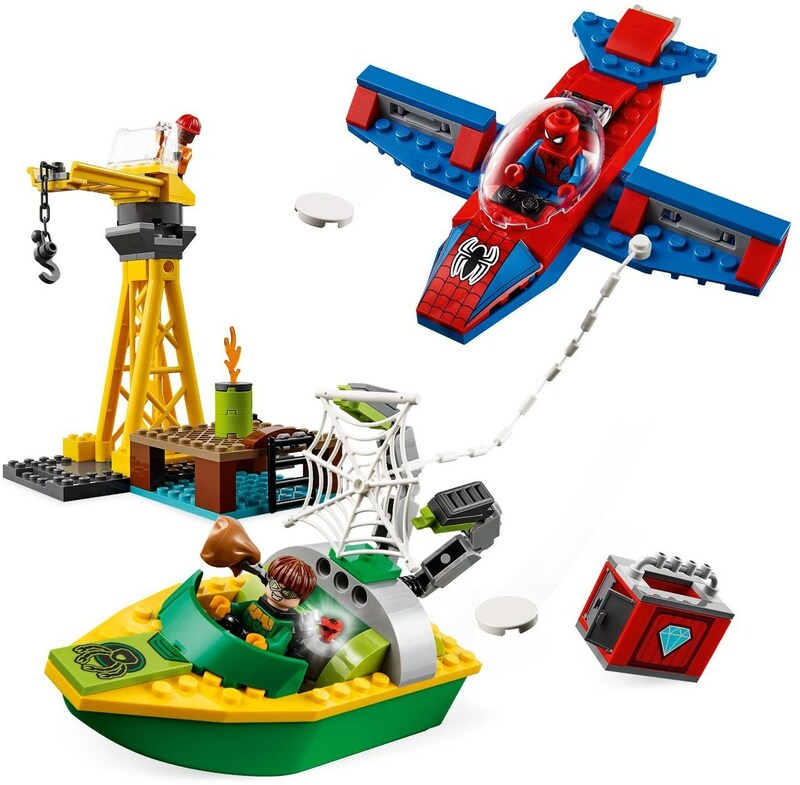 Doc Ock buildable toy speedboat features a minifigure seat, 2 mechanical arms.